There are plenty of consultants who advise on winery wastewater, but there are very few who specialize in harvesting rain like Unicus Water Solutions. With today’s water issues–primarily availability–a winery might start considering using free rain for its crush pad, processing, barrel washing or irrigation strategies. Consider the fact that only 1,000 square feet of roof area from a one-inch storm will yield roughly 600 gallons of pure, mineral-free, pH-neutral, non-eroding water that would otherwise be destined for a drain or stream bed. A 50-by-100-foot roof, in the same rain event, yields approximately 3,000 gallons of water. In a 15-inch rain season, that is almost 45,000 gallons of free water. 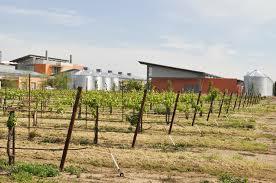 An efficient winery now uses roughly three gallons of water to produce a gallon of wine. These 45,000 gallons factor nicely for a 15,000-case winery. Unicus Water Solutions is a single source company, from consulting to design, installation and maintenance services, including code compliance and engineering. 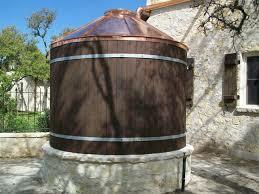 We offer wineries the means to fill these tanks by harvesting free water from the sky. Existing wineries are usually on a well with a tank (consider your water quality), so adding back-up rain collection to augment that system would be fairly easy. For new construction, the design possibilities can be impressive but require more preparation. Commercial rainwater harvesting systems are attractive because they help meet water supply and water management needs effectively while also addressing environmental concerns. Any development that has a large roof combined with a high use of non-potable water (landscaping, water features, toilets, etc.) 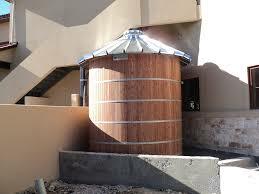 can use a rainwater harvesting system effectively. When available incentives are factored in, payback of capital costs may occur in less than 3 – 4 years. Demand calculation: The first rule in rainwater harvesting is the amount of water collected and stored must equal or exceed the winery’s demand. Unicus Water Solutions can help with “sizing” the total system, factoring roof square footage, inches of rain and recovery rate (normally 95 percent efficiency), all of which will help determine storage tank size and filtration requirements. Rainwater is not dependable, so it is important to know how much you can rely on the catchment and on the utility water supply.